Padraig Harrington in action on the 16th hole. 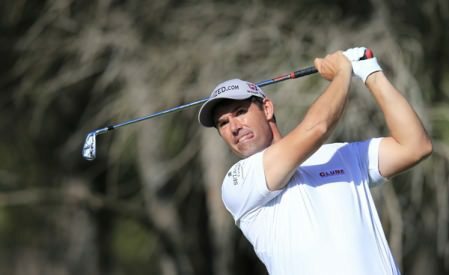 (Photo Fran Caffrey/www.golffile.ie)Frustrated Padraig Harrington blamed his lack of patience and some bad luck for an opening 73 in Killarney. The struggling world No 64 overcame an early bogey at the third with birdies at the fifth and seventh to turn in one under par. But he was so anxious to push on that he made “careless” mistakes and dropped three shots coming home. Facing a battle to avoid his sixth missed cut of the season, he said: “It’s not a great start. I need to play well score well from here on in obviously. There’s a lot of work to be done. Asked to pinpoint his problem, he said: “Maybe once or twice I was a bit aggressive. Maybe I need to be a little bit more patient. He added: “It was going okay in the middle of the round. I holed a few putts there when I had the chances but made some careless mistakes at times and just scored poorly. 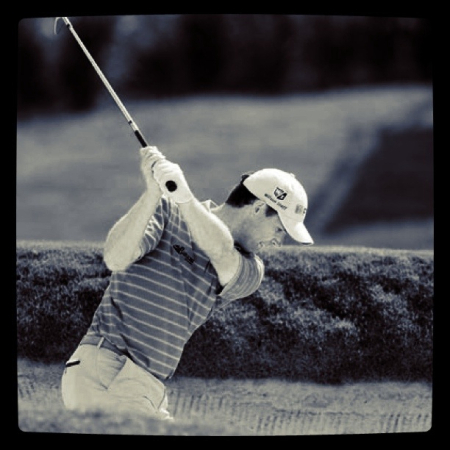 “I drove it well and I putted well, but just didn’t score well. It was just one of those things. It just didn’t seem to be going my way, is all. Such is life. Harrington’s round started to unravel on the 11th when he missed the green right and then failed to hold the putting surface with his recovery pitch. Another shot when at the 13th where he was in between clubs and his approach ended up in an almost unplayable position. A three-putts bogey at the next sent him tumbling down the leaderboard before he failed to birdie the par-five 16th after his drive finished on a downslope. Playing partner Damien McGrane, who shot a fine 69, paid tribute to Harrington and confessed that he had plenty of time to admire the skills of the famously deliberate Dubliner. He said: “It was great to play with Padraig, I’m a fast player so I do a bit of waiting around, but it gives me plenty of time to reflect on all sorts.